"Tighten the belts" is one tired takeaway from House Budget Committee Chairman Paul Ryan's budget proposal, released today. The budget proposes to cut $5.1 trillion from projected spending over the next 10 years, getting a lot of its savings from repealing the president's health care law and changing Medicaid. The document, titled again, "Path to Prosperity," is largely for show, as the bipartisan budget agreement authored by Ryan, R-Wisc., and his Senate counterpart, Senate Budget Chairwoman Patty Murray, D-Wash., already set discretionary spending levels for the 2015 fiscal year. The budget agreement passed in both the Senate and the House and was signed by President Obama in late-December of 2013, effectively ending years of budget crises - for two years, at least. Politicians like to look to budgets, though, as "visioning" documents that lay out their party's priorities. Some of the visions presented in Ryan's new proposal, which claims to balance the budget in 10 years, are familiar: Repeal Obamacare and replace it with patient-centered health care, support job training programs, eliminate duplicative or redundant programs within the federal government, and give states more flexibility in lots of areas. Repealing the Affordable Care Act is a surefire way to get Democrats worked up, especially coming just one day after the deadline for people to sign up for a health care plan. Ryan calls the law "a costly mistake" and lists the many parts of the law the budget seeks to repeal while also stating multiple times that this budget will "Repeal Obamacare" in its entirety. 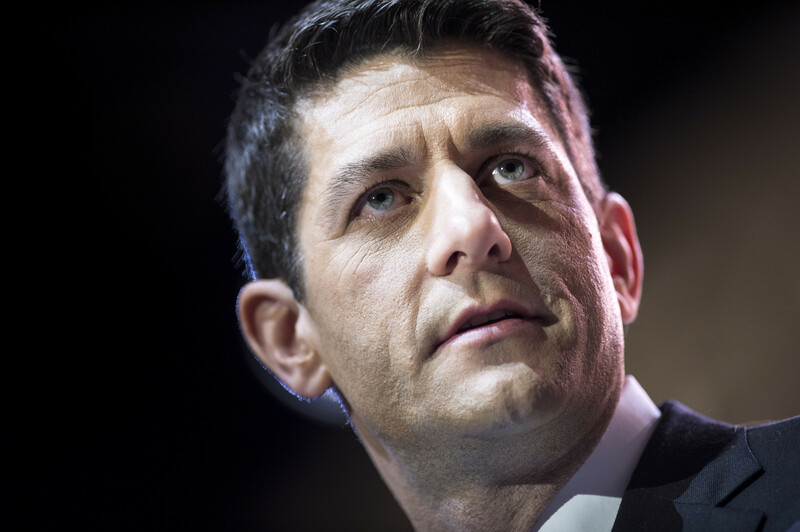 Another area of contention will likely be over Ryan's proposed changes to safety net programs. The budget proposes to turn the Supplemental Nutrition Assistance Program (SNAP) into a block-grant program to give states more control over the costly program. Any changes to the food stamp program cause heartache on the Hill and trigger outrage from many corners of the country. When SNAP reforms were debated during the Farm Bill conference, tensions ran high and the rhetoric was feisty. The budget also seeks to eliminate certain waivers from work requirements while also instituting other work requirements for welfare recipients. From welfare to Big Bird, the proposal states that "Federal subsidies for the National Endowment for the Arts, the National Endowment for the Humanities, and the Corporation for Public Broadcasting can no longer be justified." In the 2012 campaign, Republican Mitt Romney said at a debate, "I like PBS. I love Big Bird." Speaking to debate moderator Jim Lehrer, the host of PBS's "NewsHour," Romney added, "Actually, I like you, too. But I'm not going to keep on spending money on things to borrow money from China to pay for." It became a refrain of the campaign, and was used by Democrats to try to frame the argument that Republicans cared more about Wall Street than Sesame Street. A final area likely to cause ire is energy. The budget seeks to "expand onshore and offshore energy production," allowing for further access in areas such as Alaska, the Outer Continental Shelf, including the Gulf of Mexico, and the Intermountain West. House Republicans have been strong on expanding opportunities for domestic energy, and this budget falls in line with that priority. The Budget Committee is expected to vote on the proposal on Wednesday, and it will likely be voted on by the whole House sometime next week, before Congress leaves for a two-week recess over the Passover and Easter holidays. But in the meantime, expect to hear a lot from both sides about why this proposal will definitely save the country from financial ruin, or definitely ruin it and hurt poor people and old people - depending on which channel you're watching. The White House was quick to pan Ryan's budget with a scathing statement from President Obama that said the budget would harm seniors, middle-class families, young people, and the economy in general. "Budgets are about choices and values. House Republicans have chosen to protect tax breaks for the wealthiest rather than create opportunities for middle class families to get ahead. The President believes that is the wrong approach and that we should instead be making smart investments necessary to create jobs, grow our economy, and expand opportunity, while still cutting the deficit in a balanced way and securing our nation's future," the statement said. Senate Majority Leader Harry Reid, D-Nev., called the budget a "modern Koch-topia," continuing his weeks-long critique of billionaire brothers Charles and David Koch, who have spent vast sums of money supporting conservative political candidates.